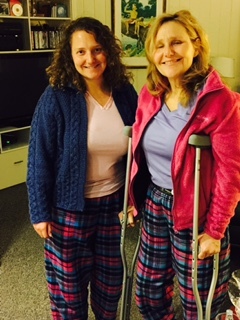 So I left my wonderful daughters, but I took my crutches (!) and headed to Austin Texas to the Independent Book Publishing Association’s (IBPA) annual Publishing University and Benjamin Franklin Awards. I have to confess the whole crutching through JFK and sitting on the plane was a bit grueling, but not only was my husband there to help (and to yell at the airport motorized shuttle that actually honked at me and told me to get out of the way when he was racing two able-bodied passengers to their flight!) but my son picked us up at the Austin airport at midnight, because he was in Austin on business. What a treat! 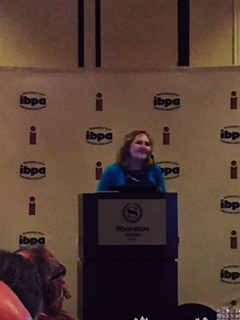 The day at IBPA was amazing – informative lectures, interesting people, great networking! And then I was joined by Bennett and Jess for the Award dinner and reception. The books that were finalists were all displayed in the foyer. What and impressive group of enticing reading material! Made me want to buy a copy of each and start reading immediately. Never mind that the next day of travel back to New York was filled with waking up at 5:30 am to find our plane delayed for two hours, but Bennett’s flight back to Boston still leaving on time, so extra trips to the airport (luckily nearby) and a lot of waiting around. 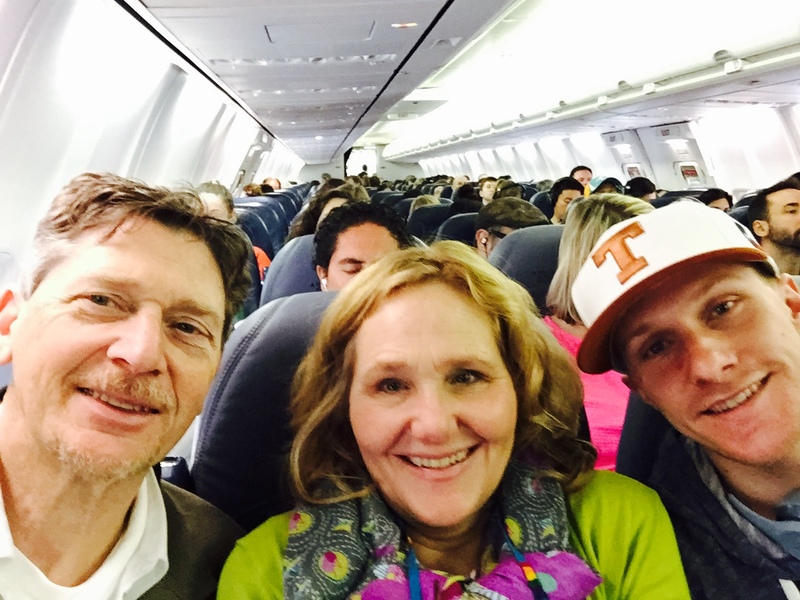 It was also filled with wonderful surprises – Bennett then got bumped from his flight and wound up on our flight to JFK – and sitting next to us. I am so blessed to be surrounded with love — including having all three of my daughters waiting for me when I got home!